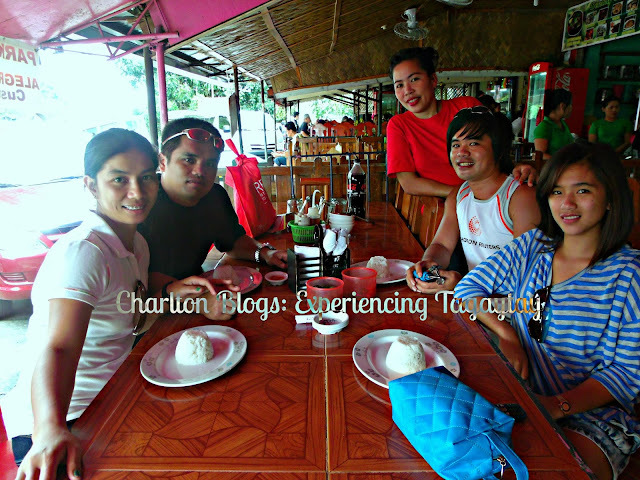 Mahogany Market is just one of the so called Bulalo haven for most tourists and bulalo eaters. I myself find this indulgence a good reward after a months stressful activity at work. So when my brother came to fetch his wife at NAIA Airport I asked them to drop by my house so we could have a weekend bonding together as it may take few months to see them again. And so he drops by. In the morning of September 29 2013, after a tiring Taal Lake horseback riding. We stopped by Mahogany Market as I heard from officemates that it is their place to be for bulalo. Of course I wanted to treat everyone with a luscious steamy bulalo and one of its kind fresh water fish called Tawilis. I would say that you've never been to Tagaytay if you havent been to Mahogany Market to sip the wonders of Bulalo. Bulalo is definitely cook at its perfection.I don't know how to describe the sensual feeling every time I have a taste of a perfectly cooked bulalo. It is somehow similar when you eat the best food you've ever tasted. Next time to visit Tagaytay, you gotta visit Alegre's Canteen at the Mahogany Market. Somehow I did love the way I was served there. The lady (sorry I forgot your name my bad) who served us knows how to host. I thought I was in a first class restaurant by that time. I felt very special while we are eating. She knows when she needs to talk, she knows when she needs to be quiet. She haven't stole our moments together with my siblings. 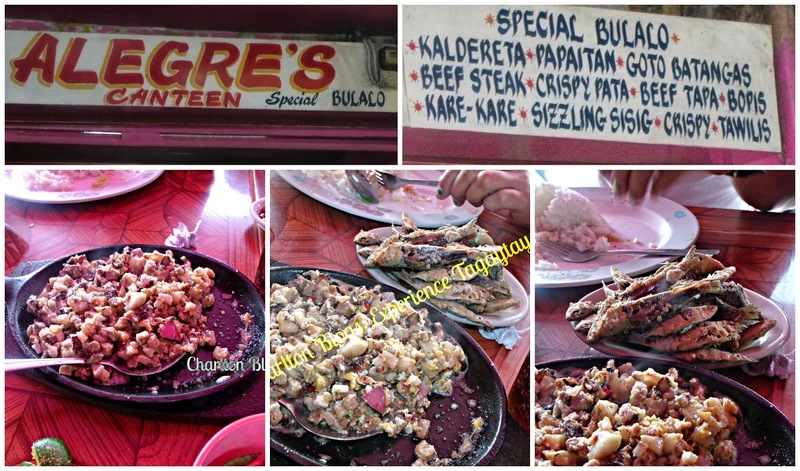 I definitely recommend Alegre as a place to be when you are in Tagaytay Mahogany Market. Bulalo would usually cost you approximately around Php 300 to Php 350 per serving and that will feed at least 4 people. What about you guy? Have you ever been to Mahogany Market? What's your best restaurant be? Oh by the way, Mahogany Market is located along the road going to Batangas. It is accessible through Jeepneys with route passing by NBI TAGAYTAY station. Just tell the jeepney driver to drop you off at Mahogany Market. Or if you are in a bus going to Tagaytay you can tell the conductor (the person who collects fare) to drop you by at Mahogany Market. Buses that will for sure pass by Mahogany Market are buses bound to Alfonso, Mendez, Cavite, Nasugbo, and Balayan Batangas. If you are going to Tagaytay with your own car: From Tagaytay Rotonda or Junction, just drive straight to the road going to Batangas (ask someone from there to show you where you should take if you are not familiar). When you reache Petron Gasoline Station, take the road going right and look for the Hall of Justice building which is also located at the right side of the road. Mahogany Market is at the back of the building. We ordered 1 serve of Special Bulalo (Chopped), 1 Serve of Fried Tawilis, 1 Serve of sizzling sisig, 1 1.5L of Coke Zero, 7 cups of rice and we only paid less than a thousand peso. Very good price with the quality of service we got and the quality of food we ate.